Being a fledging movie writer, I would want to pitch my idea on the historical occurrence that shaped the financial world for many decades later. 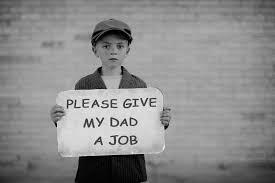 The idea on this historical happening is the Great Depression that took place during the 1930’s. This was the deepest as well as longest lasting economic meltdown that the Western industrialized world has ever experienced. Putting this historical happening into a film would be incredible since this is something that really affected the financial institutions in the US. In the U.S., the Great Depression commenced following the crash of the stock market in Oct 1929 that made Wall Street go into a panic along with wiping out a lot of investors. As a result, consumer spending as well as investment declined considerably resulting into steep decline in the output by industries along with rising unemployment levels. The array of sectors in the economy that were affected by this occurrence would be amazing if it was put down as a movie. This idea of the Great Depression being adapted into a movie and it will be adapted by showing how serious the effects of this occurrence were. In order to make the movie appear as if it was during the 1930’s, many concepts will be borrowed from the lifestyle of people during that time. This will include the unsophisticated technology that existed during that period, the mode of clothing, et cetera. The end result of this movie will be incredible. A movie of “The Great Depression” is very important as it can be able to educate the present generation of what the cause of this depression were, and how they ought to be avoided in the future. This is because it is an issue that affected the global financial system, hence affecting the society very badly. In addition, the transformation of “the Great Depression” into a movie would help the audience into getting a comprehensive comprehension of what actually transpired, leading to the biggest economic meltdown during the 1900’s. The shooting of the movie should take place on the month of June. This is because most of the actors as well as actresses who are to feature in this movie will be ready by that time. In addition, this will give the movie shooting company to search for shoot locations that will capture the concept adequately. In this movie, actors Angelina Jolie and Kevin Hart will star the film. This implies that the plot of the movie, apart from revolving around The Great Depression, it will also revolve around these actors, and how it affected them. In addition, there will be about 5 people playing the supporting role and around 200 extras so as to make the movie appear real. Kevin Hart will play as a very successful man during the 1930’s, having invested heavily in the financial markets, and later incurs a lot of losses because of The Great Depression. Angelina Jolie will star as Hart’s wife. In conclusion, the adaptation of the Great Depression into a movie will be a very smart move and it is anticipated to sell fast in the international market. This is attributed to the historical happening that took place in the 1930’s, and which has a very significant influence on the aversion of such incidents in the future.